Episode 2, “The Promised Land,” aired on November 20, 2013. Act 1 begins by pointing out that Jerusalem is sacred not only to Jews, but to Christians and Muslims alike. It then asks whether the modern conflict in Israel was predicted in the Hebrew Bible (aka the Christian Old Testament). The episode recounts the story of Abraham and his “call” to what would be the Promised Land of Canaan. The opening act also examines the ethically problematic story of the Akedah—the binding and near-human sacrifice of Isaac by Abraham, as commanded by God. The show depicts how the same Mount Moriah upon which Isaac was to be sacrificed came to be associated with Jerusalem in later tradition, so that the Temple Mount came to be identified with Mount Moriah from the past, as well as with the coming of the Messiah in the future. The episode also examines the conquest of Canaan and the idea that what would become Israel and Judah must first be purged of all living beings by divine command in order to purify the land. Again, this traditionally touchy ethical subject is problematic because it sees the Promised Land as a place that must first experience a divinely ordained genocide (whether or not we should refer to it as a genocide is another debate altogether), and this has perplexed ethicists for millennia. 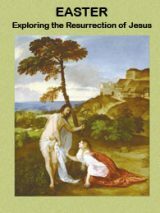 In the free eBook Exploring Genesis: The Bible’s Ancient Traditions in Context, discover the cultural contexts for many of Israel’s earliest traditions. Explore Mesopotamian creation myths, Joseph’s relationship with Egyptian temple practices and three different takes on the location of Ur of the Chaldeans, the birthplace of Abraham. Act 2 begins by asking the question of whether the 40 years wandering in the desert was a death sentence imposed upon Israel for their lack of faith in God. Likewise, the episode offers suggestions as to why Moses never got to enter the Promised Land. 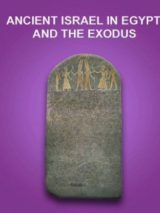 The show then transitions to the story of the Exodus and of Moses and examines the archaeological record to ask whether the Biblical Exodus should be considered an historical event, or a simply a beautiful literary tale. While scholars point out that there is absolutely no archaeological evidence for a Biblical Exodus (early or late), other scholars suggest that we shouldn’t expect to find archaeological evidence of an Exodus, as the escaping Hebrews would have lived as nomads, whose lifestyle wasted very little and who would have traveled through the desert rather efficiently, leaving behind little evidence of their migration. The Exodus is ultimately held up as the defining moment of the ancient Israelites, where God intervened on behalf of his people and delivered them—a theme we find throughout the Bible. Act 2 ends by addressing the issue of cognitive dissonance. I ask, “What do we do when our experience and reality tell us one thing, and our faith tells us another?” It is this issue that has been at the interchange of critical study of the Bible and personal confessions of faith for centuries. Many are hesitant to study the Bible, archaeology, ancient languages, etc., critically because they’re afraid they might discover that what they believe at this present moment, or that what they’ve always been taught, won’t stand up to the evidence. This is an issue that all people of faith face when they enter a Biblical studies program or seminary study. I’ve always felt that if God is what he is claimed to be by the Bible, and if one’s religion is what one believes it to be, then both can handle a few simple questions. And it is at this point—when one looks objectively at the literary, archaeological and historical evidence—that some people decide to rethink how they view God, while others decide to deny facts and reality and cling to what they believe, regardless of the evidence. Any honest student of the Bible has dealt (or will soon deal) with this dilemma of cognitive dissonance; it is how one responds to this intersection of faith and evidence that most point to as a moment of life-changing growth and that often determines the trajectory of one’s worldview for years to come. I’ll also take this opportunity to point out that all of the B-roll footage used in the “Promised Land” episode (the background footage of archaeologists digging in Israel) was filmed at our excavation at Tel Azekah. For more, visit azekah.org. Act 3 opens by asking questions about the need for relics and holy objects. Why have people of faith through the centuries placed so much emphasis upon identifying and revering holy relics? The Ark of the Covenant, pieces of the “true cross” of Jesus and the holy grail have been pursued for centuries, but what would the discovery of these objects mean if they were found? Would the discovery of the Ark prove that the stories told about it were true? 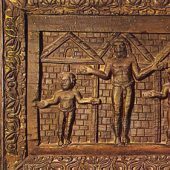 Would the discovery of the nails of Jesus’ crucifixion provide any insight to whether he actually overcame death? Thus in the end, most people realize that holy relics, while important to some, really can’t provide any confirmation of the faith claims made by the Bible. So, in place of sacred objects, sacred places have earned much of the attention of the faithful. The episode examines the importance of Jerusalem—specifically the Church of the Holy Sepulcher, the purported burial place of Jesus—to Christianity, not only as the place of Christ’s resurrection, but also as the place of Christ’s return. Act 3 closes with a short discussion of the Crusades, a low point in Christian history when, despite the fact that there is no mention of a Promised Land in the New Testament, Christians took up arms in an attempt to retake Jerusalem from the Muslims. The bloody Christian conquest and occupation was short lived, and ultimately failed, as Saladin retook Jerusalem in 1187. This free eBook Islam in the Ancient World explore some of Islam’s significant history and sites, bringing a new perspective to Biblical history and traditions. Act 4 examines Muslim claims to the Holy Land. The episode notes that in the years before Muslims prayed toward Mecca, they first prayed toward Jerusalem. Likewise, the Dome of the Rock, built in 691 C.E. and standing where the Jerusalem Temple stood prior to its destruction by the hands of the Romans, commemorates the prophet Muhammad’s ‘Isra and Miraj—his night journey mentioned in Sura 17 aboard his winged horse Al-Buraq to the “farthest mosque” (from Mecca, later interpreted as Jerusalem, hence the name of the Al-Aqsa, or “farthest” Mosque) and his envisioned tour of the universe. Act 4 reminds viewers that Islam actually assumes a knowledge of the Hebrew Bible and the Christian tradition, and that while it disagrees with much of the theology presented in the Bible, the Qur’an venerates many of the Biblical characters as prophets leading up to the advent of Muhammad. The episode also explains how Jews and Muslims both make a claim to God’s promise to Abraham through his two sons: Jews via Isaac, and Muslims via Ishmael. Act 5 asks whether the Bible provides any clues to the Holy Land’s future. 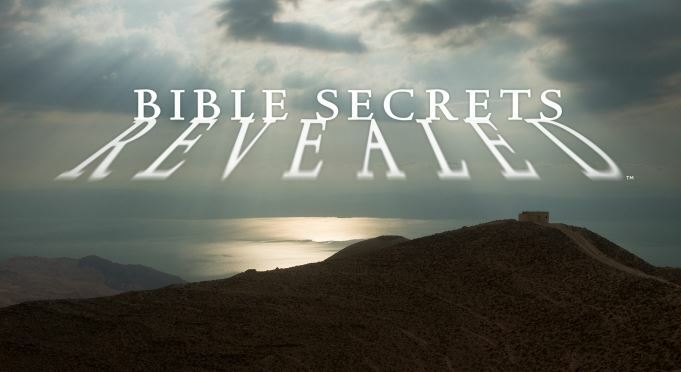 The episode looks briefly at the Books of Daniel and Revelation and asks why many believe the Jewish Temple must be rebuilt before Christ can return, or why a final battle must be waged upon Christ’s return. The episode ends with the irony that this Promised Land of peace has experienced so much fighting throughout the years. Some suggest that the Holy Land is a testing ground for faith, and if people can learn to get along here, then there may be a chance for worldwide peace. So, no archeological evidence to support the Jewish belief in the Exodus. No archeological evidence to support the view that Jesus lived, was crucified, resurrected or ascended. No archeological evidence to support the night vision of Mohammed’s touch-down on Temple Mount. With no archeological backing, all these views seem to be in the realm of mythology. So what’s the biblical secret here?